Growing up my favorite memories were going to the movies with my parents. Our hometown theater was one of those grand old types with lots of ornate gold decorations and bright red fabrics. Being inside the theater was always magical. Adorned on the front stage was that magnificent red curtain keeping us wondering what new and exciting adventure awaits just beyond. Looking around the theater at the walls and ceiling, I marveled at all the detailed decorations and rich fabrics on the walls and those glowing sconces that adorned them. Then it happens… the lights dime, the curtains open and and I’m transported to another world or a another time, and for the next couple of hours it is magical. Coming home after this blissful experience at the cinema and sitting down in front of our 27″ tv in the living room just didn’t compare. I often imagined what it would be like to have my own movie theater in our house. Luckily many others shared the same dream and an industry was born. Thankfully human ingenuity and a passion for great storytelling led to many technological innovations that made it now possible to finally create an amazing cinema experience that easily rivals the excitement of commercial cinemas in your own home. Our company is proud to be part of putting the magic of cinema in peoples homes all over the world. 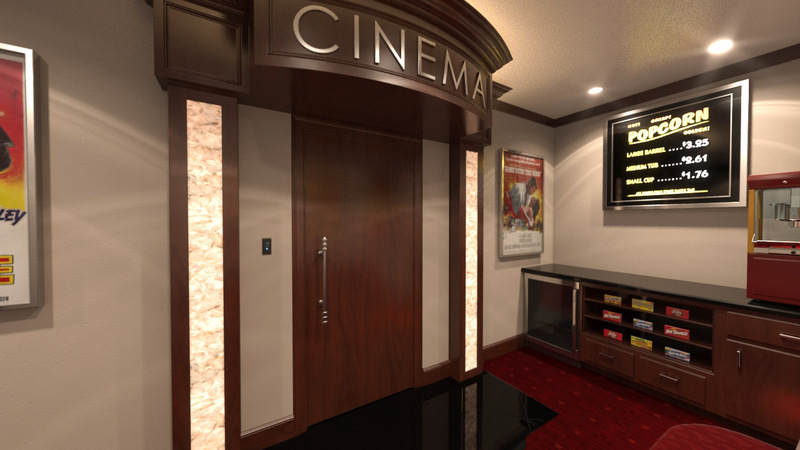 Designing and installing first class home cinemas is our passion. Blending beautiful interior design with state-of-the-art audio/video systems to create rooms that captivate the imagination and bring hours of entertainment and joy is what any great home cinema strives to achieve. Many hours of design and engineering go into every home cinema we build to ensure every ounce of performance is achieved and the director’s intention of the film is fully realized. 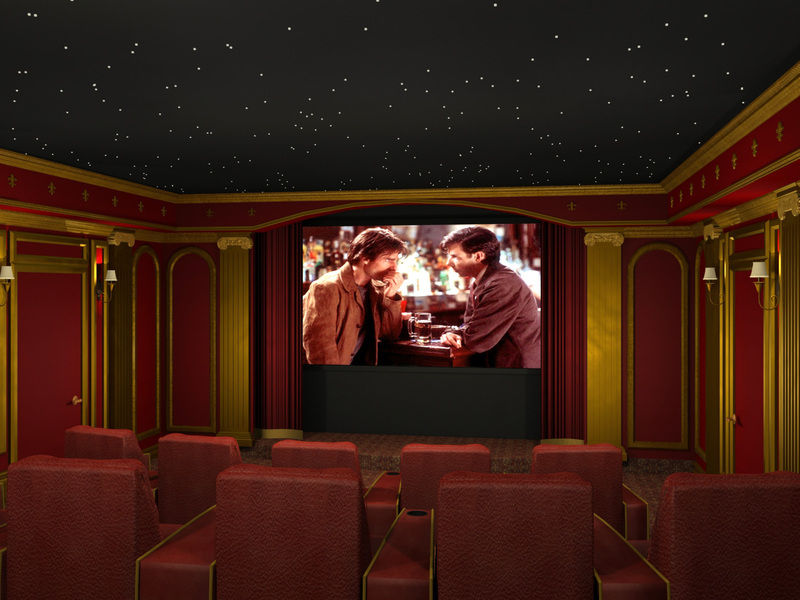 For everyone involved in our company there is no greater satisfaction that seeing the look on our clients faces after there have experienced there very own home cinema. 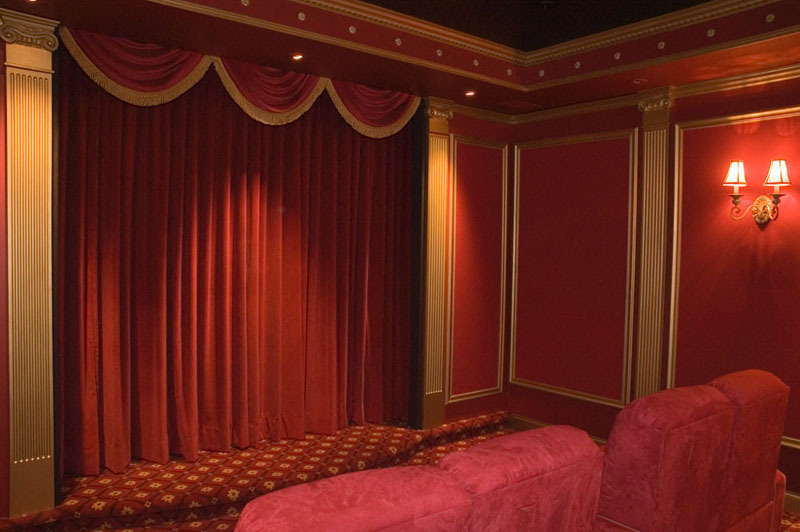 Custom home cinemas can be anything you can imagine. 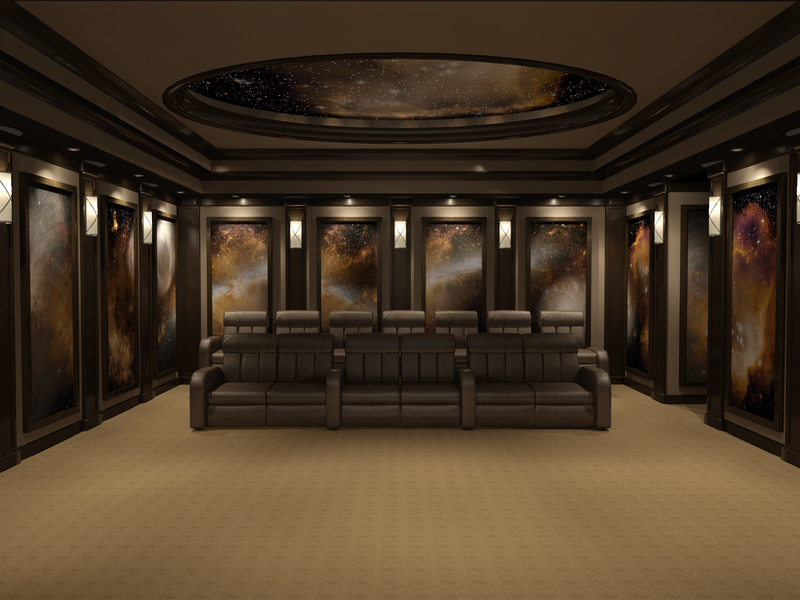 A space themed theater with images of the galaxy surrounding you or a renaissance inspired masterpiece. What about outside the theater? 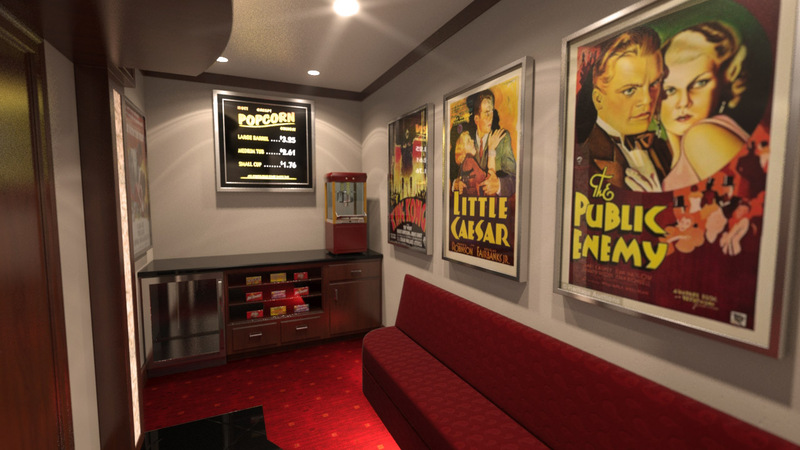 Why not create a unique lobby complete with refreshment area to get that bag of freshly popped poporn and candy before entering into the theater. Advances like 4K projectors and Dolby Atmos surround sound are sure to further propel us into even more magical worlds than ever before. It is an exciting time and we are constantly staying on top of the latest technology to ensure our home cinema’s never fail to deliver the absolute most magical experience for our clients. If your considering building a home cinema, contact the exceptional people at Kasabe Designs to help turn that dream into reality.